The rosettes contain an eosinophilic collagen core and a rim of round to oval cells. 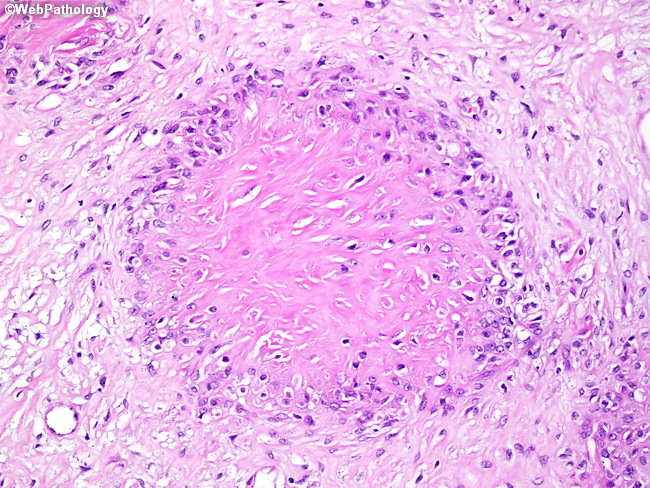 As mentioned in slide 8, both HSCTWGR and low-grade fibromyxoid sarcoma carry the same translocation. The risk of recurrences and metastases in HSCTWGR is much lower, however, than low-grade fibromyxoid sarcoma.